I hope you, guys, are enjoying the lovely weekend. The weather here has not been really the best but I am trying to get as much as I can. Since I am searching for my perfect summer clutch, I have been looking through the net, trying to find something that I like in the normal price range. Well... it has been quite hard, I think so far. What I found though was a super inspiring DIY project from Style Scrapbook. 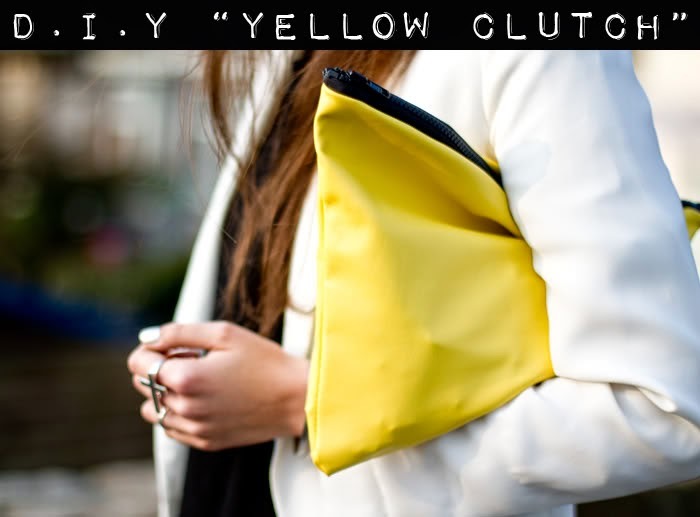 Her yellow clutch DIY is so amazing that instead of buying one, I have decided to try and make one myself. It's a truly amazing DIY PROJECT and I am hoping to be able to find the right materials soon, I will eighter try and find the yellow colour that Andy from Style Scrapbook used or may be the dark blue I am so crazy about.